Not so long ago we stumbled upon an online chat where the subject was banning children from flying, or at least banishing them from flying in business class. 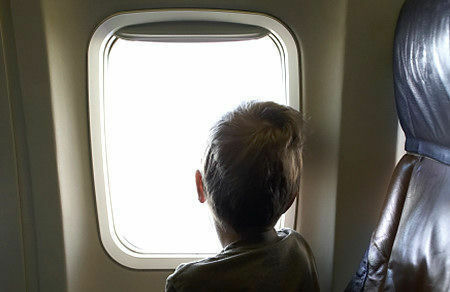 So we were not completely surprised at the USA Today Travel article that said 74% of UK-based business class travelers get annoyed at children on flights, and that airlines should provide children-free flights, or at least flights for those over 18 years old. The survey of 1,000 business-class flyers by Business and Meetings Travel Show was pretty blunt: children drive them crazy. For most of the elite flyers, it comes down to the idea that they paid a premium price for their ticket and they don’t want be disturbed by crying children or kids kicking the back of a business traveler’s seat. For others, it was the fact that many kids are not toilet trained, and soiled diapers are offensive. Obviously the family travel experience differs from that of the business traveler, and in truth, is it fair to combine both kinds in one plane? Aside from the “curmudgeon” aspect of the issue, we have long argued that the airline industry should create a family-only airline (there is a pet-only airline with limited routes) which we think would do very well financially. Or failing that, learn from Amtrak. Its “Quiet Car” is very popular, so perhaps airlines could create an adults-only cabin or section. The upper deck of the B747 lends itself perfectly to an adults-only section. But more importantly, maybe families would appreciate flying with other families. It might reduce the stress parents feel when their children are crying or cranky, and it just might get families to share travel experiences and destination tips en route making the travel experience more enjoyable. If a family pays for business class, shouldn’t they sit in business class? After all we do live in an egalitarian society, and just maybe business class travelers have to loosen up and “get” that kids are people too. But it wasn’t just the kids that came under criticism. Eighteen percent of those polled aid they were “very upset” to have paid full fare while others received a free upgrade, and 15% said they wanted more privacy from the economy class passengers. So it seems, again, that the skies are neither friendly or generous.